← Short – Busker HoF 44 – Steroid-Babies! 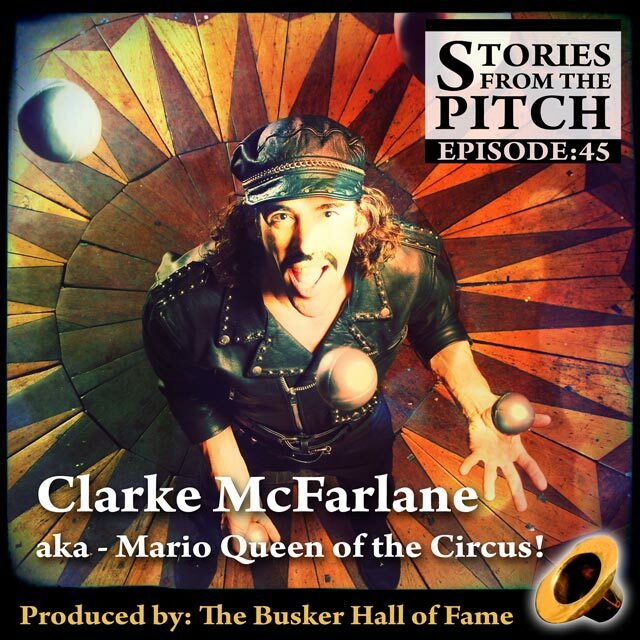 Comments: What Clarke McFarlane was willing to do to become a successful street performer pushed him beyond where most others would have likely gone. Quite simply put, he fell in love with the lifestyle, made choices and took risks so that he could beat the system and succeed with in it. From humble beginnings at a New Year’s event in New Jersey, through the streets of Europe, building full theatre shows as part of “Planet-Banana,” salvaging a solo career out of a lifetime of experience, and finally the emergence of his “Mario – Queen of the Circus” show, Clarke’s journey has been filled with incredible obstacles, diversity and rewards. His unprecidented tenacity is at the core of why Clarke never quit and continues to be a driving force with everything he continues to pursue. 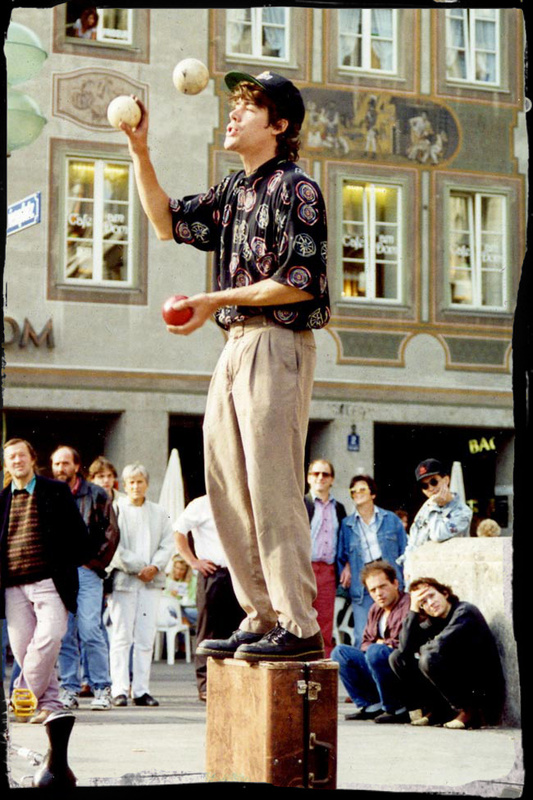 Standing on a suitcase on the Marienplatz in Munich, Germany 1994. End of my second European season. What I’m wearing was not the style of the day or the style during any day in history, I have no idea what I was thinking. 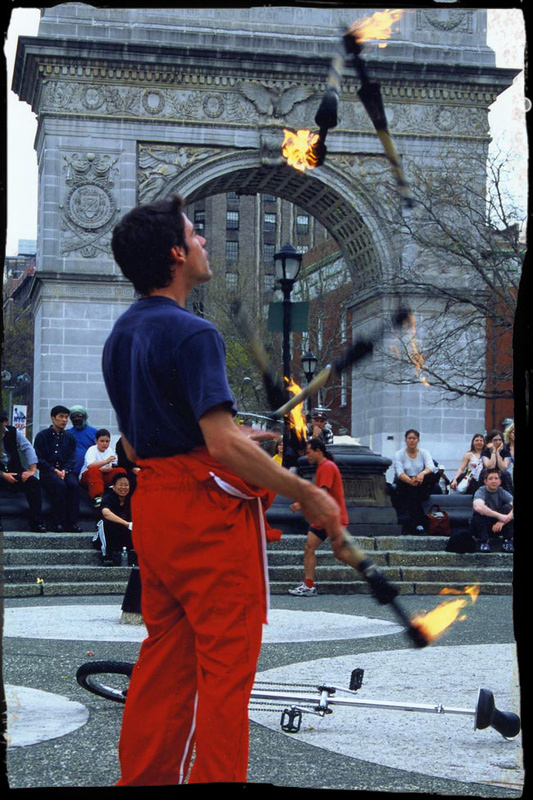 5-Torches in Washington Square Park NY, NY fall 1999. 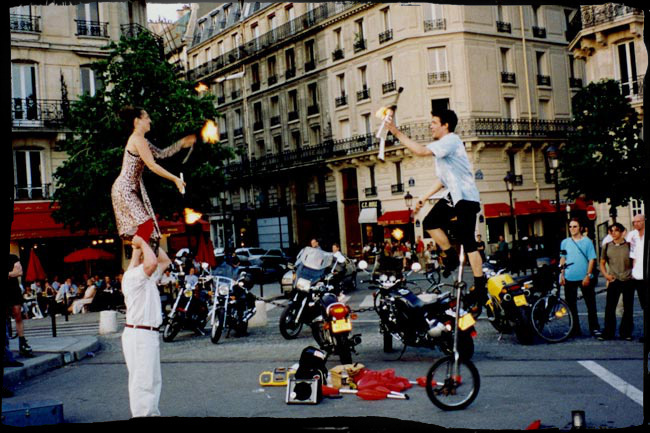 As for my style choice, Rush said it best: ‘if you choose not to decide, you still have made a choice.’ Look closely and you can see that I am juggling 5 torches while holding street performing legend Joey Joey in my right hand. Planet Banana on Pont St Louis, Paris June 1998. Here we are within a year of starting to try our double act, but still a year away from naming ourselves Planet Banana. It is of note that this picture was taken just weeks after losing everything we owned in a truck fire. We had already replaced all our materials for the show except my costume (still the last thing I consider apparently). Mario Queen of the Circus in Christchurch, New Zealand January 2014. I finally learned to dress for success.